Dale the Mobile Mechanic brings auto servicing to you at work, at home, or on the road in Redmond, OR. All Your Needs Met in ONE Place! “All Your Needs Met in ONE Place!” Dale the Mobile Mechanic of Redmond, OR is only a phone call away for the service or repairs your vehicle needs where you are. Regardless of whether you need a scheduled maintenance service or emergency auto repairs, our services will get you back on the road quickly. 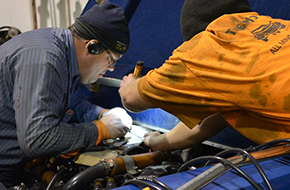 Experienced mechanics from Dale the Mobile Mechanic’s auto repair service travel to customers in a well-equipped vehicle containing all the tools necessary to perform most repairs on the spot. Our mobile vans have accurate diagnostic software onboard that quickly identifies any problem. This is important as cars today operate with an onboard computer. 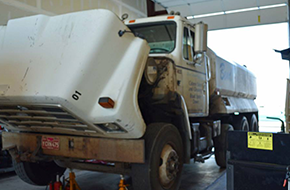 If the repairs are too serious to perform with the materials contained in the van, then we have the vehicle transported to our auto shop for repairs. Typically, however, our mobile services provide an efficient and effective alternative to having to take the vehicle to a stationary auto center for services. All of our mechanics are ASE certified and have many years of experience. We serve La Pine, Prinevilee, Sisters, Bend, and our base. However, we can travel wherever the customer needs us within the range of our service area. Please call to confirm how far we can travel. Towing is available for light vehicles. Military and senior discount are available. Get in touch with Dale the Mobile Mechanic right away when you need assistance in or around Redmond, OR. Our prompt service will perform what you need when you need it 24/7! We also have a full service center to meet your needs. The shop is veteran owned and operated. You can also find us on Facebook, Yelp, and Google Plus.